Starbucks closed more than 8,000 stores across the US on Tuesday as staff underwent racial awareness training. 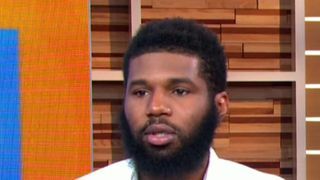 It comes after the coffee firm apologised to two black men who were arrested while waiting for someone in a Starbucks outlet in Philadelphia.Bosses apologised for the April incident before meeting the two men and pledging to carry out training "geared towards preventing discrimination". 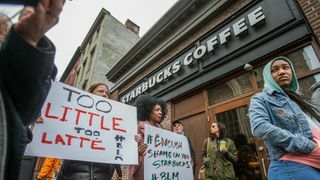 But there was further embarrassment for the company when a video also emerged of a separate incident in which a black man says he was denied entry to a Starbucks toilet in Los Angeles, while a white man who had also not bought anything was given the bathroom code.Starbucks says it has contacted activists and experts in bias training to plan a curriculum for its 175,000 workers. The training is designed to encourage people to talk about implicit biases and stereotypes in encountering people of colour, gender or other identities. A video previewing the Starbucks training includes recorded remarks from its executives and the rapper and activist Common. Employees will "move into a real and honest exploration of bias".The training will also address the lesser known concept of "unconscious bias training", which is used by many corporations, police departments and other organisations to help address racism in the workplace. US retail giants Walmart and Target offer similar training.Department store chain Nordstrom also plans to enhance its training after issuing an apology to three black teenagers in Missouri who employees falsely accused of shoplifting.